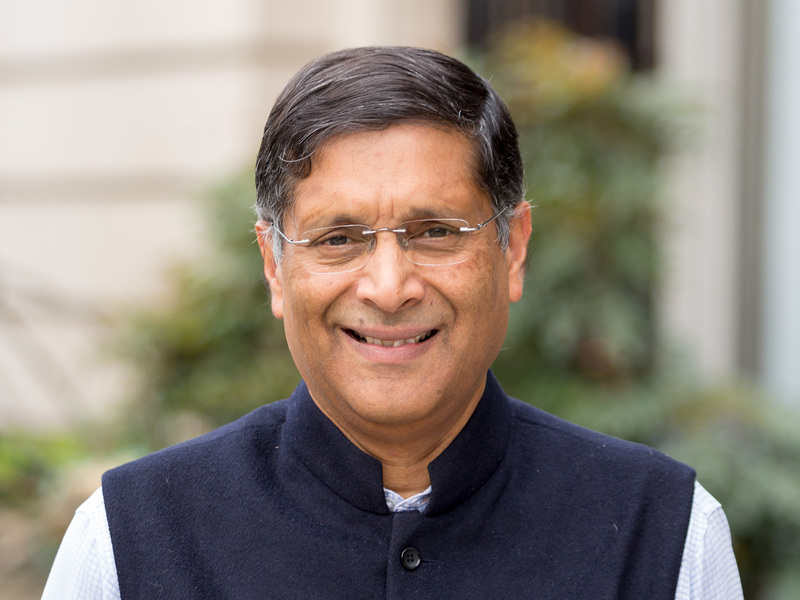 As chief economic adviser, Subramanian oversaw the publication of the annual Economic Survey of India, which became a widely read document on Indian economic policy and development and elevated the public discourse on economics. Among the major proposals carried out during his tenure were increases in public investment, a uniform goods and services tax (GST), attempts to tackle the Twin Balance Sheet challenge by enacting a bankruptcy code, creating the financial and digital platform for connectivity (the so-called JAM trinity), and codifying the flexible inflation targeting regime. While at the Institute, Subramanian has written two critically acclaimed books: Eclipse: Living in the Shadow of China's Economic Dominance, published by PIIE in September 2011, and India's Turn: Understanding the Economic Transformation, published by Oxford University Press in 2008. Foreign Policy magazine named him one of the world's top 100 global thinkers in 2011. He has written extensively for many academic journals on growth, trade, development, aid, India, Africa, and the World Trade Organization. His op-eds and essays have been published in the Economist, Financial Times, Washington Post, New York Times, Wall Street Journal, Newsweek, New York Review of Books, and he had a widely-read column in the Business Standard, India's leading financial daily. Before joining PIIE, Subramanian was the assistant director in the Research Department of the International Monetary Fund. He served at the General Agreement on Tariffs and Trade (GATT) from 1988 to 1992 during the Uruguay Round of trade negotiations and previously taught at Harvard University's Kennedy School of Government and Johns Hopkins' School for Advanced International Studies. He obtained his undergraduate degree from St. Stephens College, his MBA from the Indian Institute of Management at Ahmedabad, and his M.Phil and D.Phil from the University of Oxford. The New York Review of Books: Will the Chinese Be Supreme?